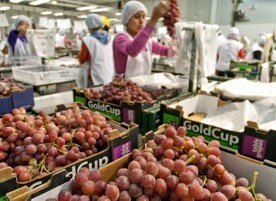 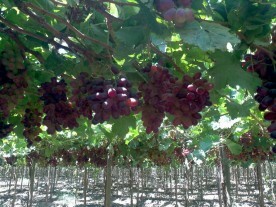 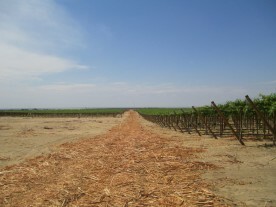 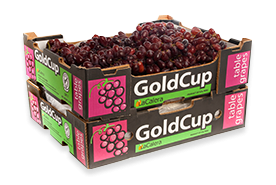 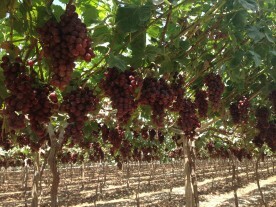 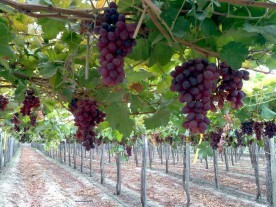 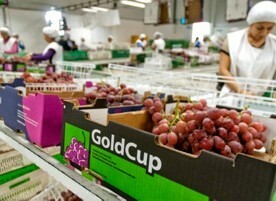 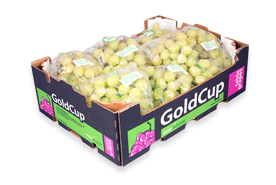 World production in table grapes is estimated to be nearly 17 million tonnes of which 2.5 million are traded internationally. 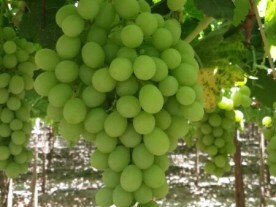 Grapes are a type of fruit that grow in clusters of 15 to 300, and can be crimson, black, dark blue, yellow, green, orange and pink. 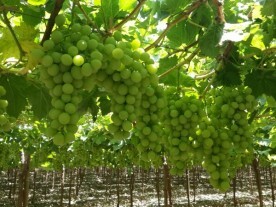 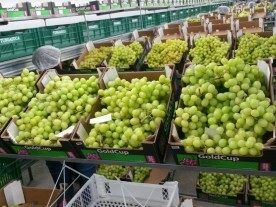 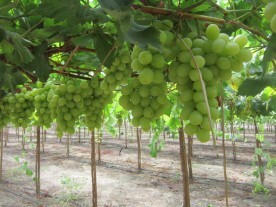 “White” grapes are actually green in colour, and are evolutionarily derived from the purple grape.